Oooh, also chess, or checkers, cup, ceramic. 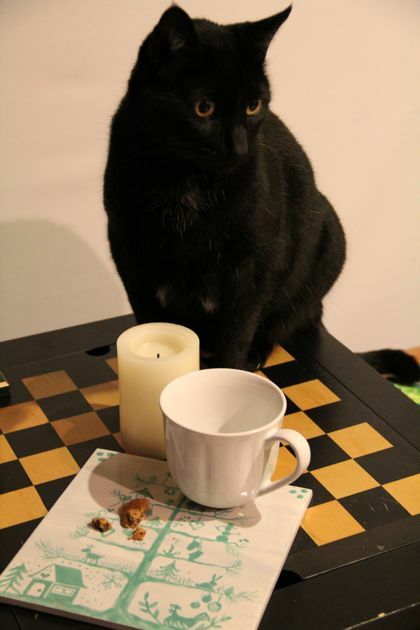 Lest anyone misinterpret my first post of the new year, and think I am melancholy, or moody, I offer a conventional and convivial post: Chango Cat on a chess board, and cookie crumbs on a Christmas and chicken scene characterized on a ceramic coaster. Naturally, this conveys my own unique brand of happiness. This Is A New Year!